Buying new furniture for your home is a huge investment, not just in monetary terms. With so much pride and love for your home, we know that a huge dollop of passion and thought goes into picking your perfect item. Given this, it’s really important that you feel confident you’re making the right choice and you’re over the moon with your lovely item when it arrives. 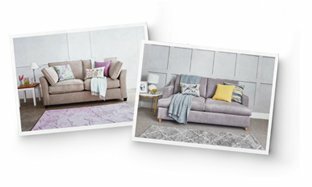 With this in mind, as well as our W&H Customisation Guide, which is jam-packed with help on how to choose the right customisation options, we’ve worked with our interior designers to pop together some other handy information which we think will help guide you through your purchasing journey! If you’ve got any further questions, do give our friendly Customer Service team a bell on 020 8939 3800 or drop them an email at [email protected]. We’re always on hand and happy to help.